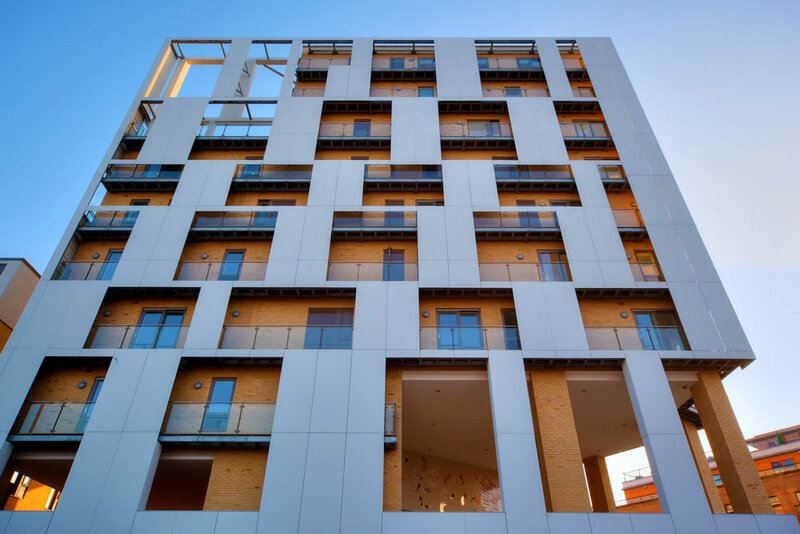 At nine storeys above a basement car park the Marque is currently Cambridge’s tallest residential development and completes the large urban square to the north that is the setting for hotels, a leisure complex, live music and performing art centre, restaurants and shops. 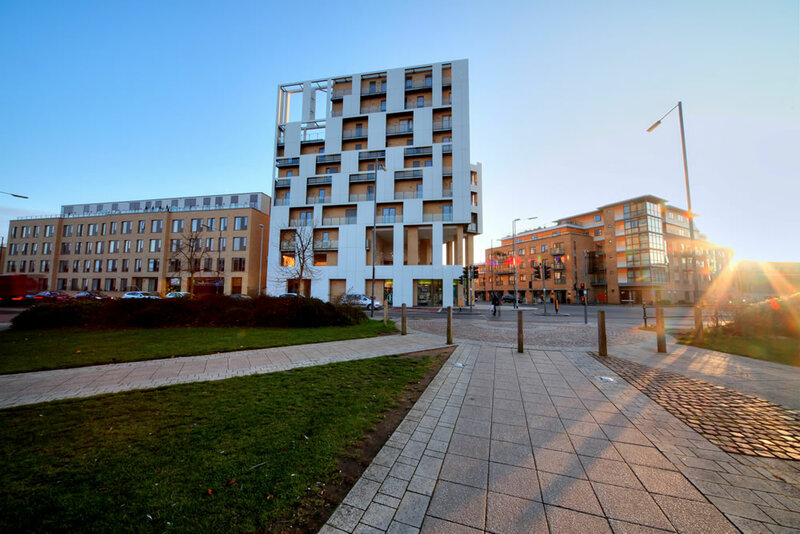 The ground floor has retail and gym space and is a prominent feature on the Cambridge skyline with the nine storey tower turning the corner of Hills Road and Cherry Hinton Road, sheathed in its Petrarch clad screen which acts as a foil to the apartments behind and their balconies. 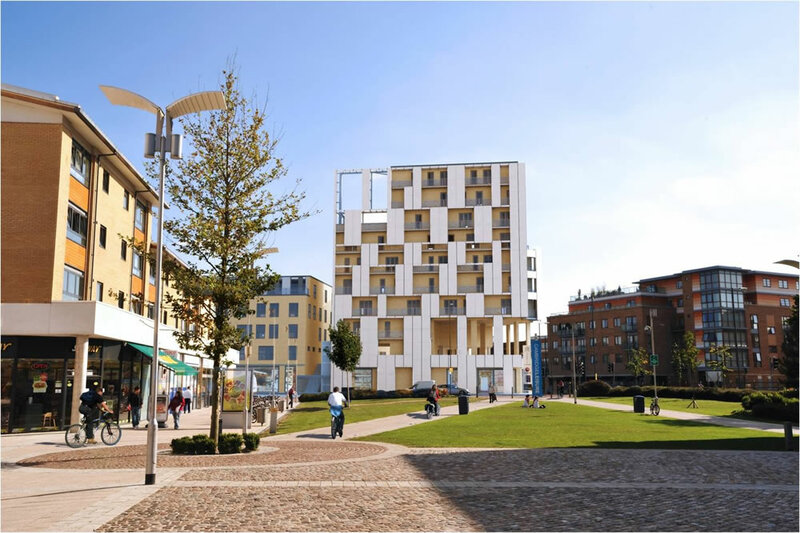 Of the 134 apartments, 92 are for private sale and include a 2600 sq ft penthouse apartment with views across the city rooftops to the north and the open countryside of the Gog Magog hills to the south. 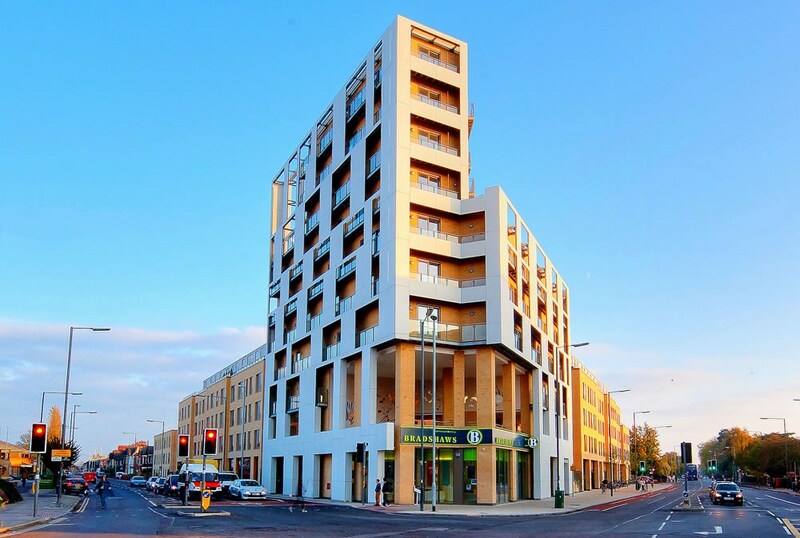 The remaining 42 apartments are in two 4-storey blocks and are managed by Luminus.